Skipper MS Dhoni-led team Chennai Super Kings entered into the final for the seventh time after defeating Kane Williamson's Sunrisers Hyderabad. The hero of the match was Faf Du Plessis who played the hard-hitting knock of 67 runs. This is to notice that CSK retained Faf Du Plessis in the team by using the Right to play card. He didn't play many matches in this season but his important innings came in the important match. 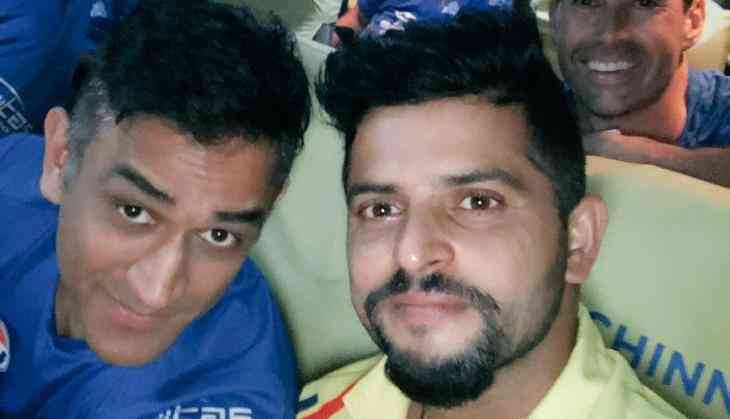 This is the seventh time when the Chennai Super Kings entered into the finals and skipper MS Dhoni is all smiles as from the first season he is captain cool of Chennai Super Kings. Now SRH will get a chance to enter the finals after the second playoff match and if SRH wins the third playoff match then they will once again to face CSK for the title's game.